Foxx believes the current top fine isn’t enough of a deterrent for automakers to not obey the rule requiring companies to issue a recall within five days of determining the vehicles pose a safety risk to drivers. “Whether traveling by motor vehicle, walking or bicycling, we are committed to ensuring that Americans reach their destinations safely. Our approach will continue to support both safer behavior and safer vehicles to prevent deaths and injuries on our roadways,” said NHTSA Acting Administrator David Friedman, according to the Detroit News. The request came as part of a larger $302 billion transportation authorization proposal that would implement the new fine structure as well as giving the National Highway Transportation Safety Administration (NHTSA) the power to issue the “park-it-now” order that lawyers and politicians have been clamoring for NHTSA to issue to General Motors for the 2.6 million vehicles it has recalled to over a faulty ignition switch. The issue has caused 31 accidents and 13 deaths, but the federal safety agency does not currently have the authority to issue the order. With the new powers, NHTSA could force automakers to makers to remove the vehicles from the marketplace if the agency deems them to be dangerous. In 2010, Congress considered legislation that would have given NHTSA the power to order automakers to stop sales and order immediate recalls if it found “an imminent hazard of death or serious injury.” However, it was never passed. Right now, NHTSA must go through a two-step process of initial investigation and then engineering analysis before it then must hold an administrative hearing to compel a recall. Then it must go to court to enforce the order. Still, it cannot order the owners of the vehicles to stop driving them. GM announced that the replacement ignitions were now rolling off the production lines of its supplier, Delphi Corp., and that dealers should be able to complete the replacements for all of the affected vehicles by the end of October. This entry was posted on Wednesday, April 30th, 2014 at and is filed under Automobiles. You can follow any responses to this entry through the RSS 2.0 feed. Both comments and pings are currently closed. Politicians like to grandstand instead of work to improve the system – all at the expense of consumers. 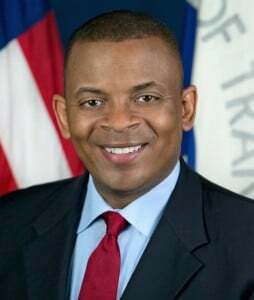 I applaude Secretary Foxx in his effort to get car manufacturers to take their obligation seriously, specially when it has to do with someting that can cost humans’ lives. $300 million sounds like a great deterrent to me. Don’t worry folks.. The Republicans will kill this idea because it was presented by the Obama administration.